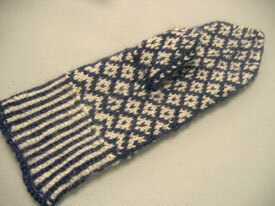 After working on her intarsia dinosaur sweater last time, Tanya has now moved on to these incredible fair-isle mittens from Folk Mittens. Wow! 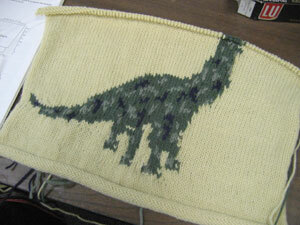 Tanya is making a dinosaur sweater for her son. Wow! We haven't seen Tanya and one of her incredible projects in ages. 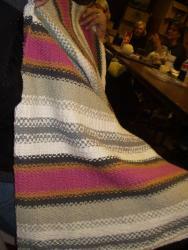 She joined us this weekend with this sampler afghan in progress. 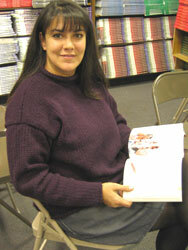 Tanya's new Jo Sharp sweater in a beautiful textured stitch and a beautiful purple. It's classy and cozy. And is perfect on her! 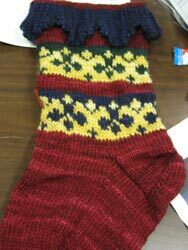 Tanya's started to make Christmas stockings. Nice and big for lots of yuletide pressies. 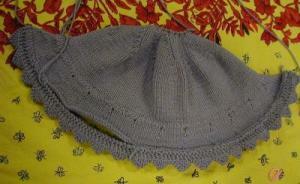 And she's using Manos yarn. St. Nick's gotta like that. Tanya's finishing up this oh-so-adorable baby bunting from an old Family Circle pattern. 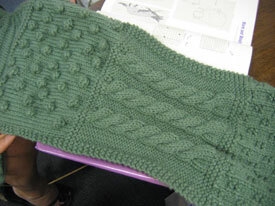 Fine garter stitch in a silky wool with striped cuffs. Too sweet! Tanya has just finished this beautiful afghan for a friend who recently got married. Incredible! 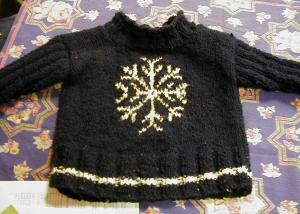 And now a too cute snowflake sweater for her son in a fun new wool from Classic Elite called Zoom. Another lovely project. 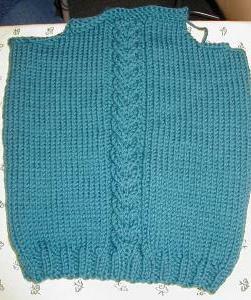 This one is a baby sweater and will be a Christmas gift, I think. 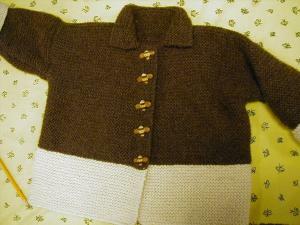 Here's a beautiful garter stitch sweater she just finished for her son. That Frog Tree yarn is sooo soft! 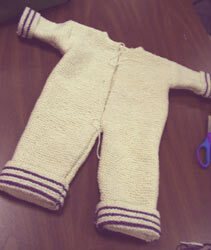 This week Tanya began working on the baby layette set by Debbie Bliss. Here she is sewing on the trim for the hat. Booties are also in the works!